Posted August 10, 2018 by whitehallteam & filed under Whitehall Views. http://url.com Don’t go soft on your oral health routine – that’s the message from the Oral Health Foundation after new research finds a link between gum disease and erectile dysfunction. The first study of its kind that involved a European population examined more than 150 men, and researchers were able to determine that three in four (74%) with erectile dysfunction also had poor oral health. In response to the findings, the Oral Health Foundation, wants to emphasise the links between advancing gum disease and issues in other parts of the body and believes the benefits of taking better care of your gums can go far beyond a healthy mouth. Dr Nigel Carter OBE, CEO of the Oral Health Foundation, says: “As startling as these findings may be, it may turn out to be a wake-up call for men to start paying greater attention to their oral health, particularly their gums. Gum disease happens when the tissues supporting the teeth swell and become sore or infected. 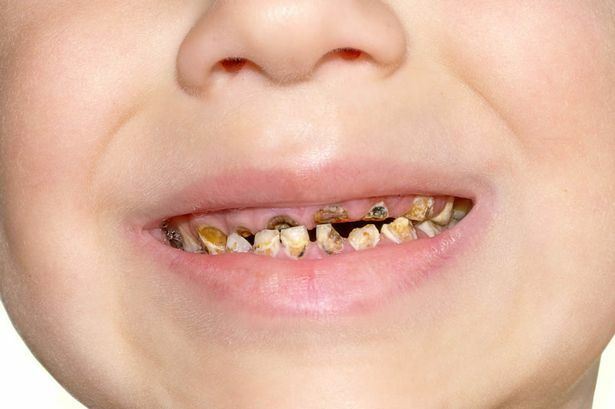 If you fail to treat it in it’s early stages, the disease will continue to worsen, and can result in tooth loss. Finding blood on your toothbrush or in the toothpaste you spit out after brushing is a common symptom of the condition. Your gums may also bleed when you eat, leaving a bad taste in your mouth. “Fortunately, gum disease is an entirely preventable and treatable disease but avoiding it and lowering the risk of poor performance in the bedroom requires an effective and consistent oral health routine,” Dr Carter adds. “Brushing twice a day with a fluoride toothpaste, cleaning in between your teeth once a day using interdental brushes and maintaining regular visits to the dentist are the best way to avoid or treat gum disease. The research also says that treating gum disease by reducing inflammation of the gums can result in improved erectile function. As well as being able to treat any signs of gum disease before it develops into a more serious issue, regular dental hygienist visits can also remove plaque and tartar from your teeth, as well as give your mouth a fresh bill of health. Martin A, Bravo M, Arrabal M et al. (2018) Chronic periodontitis is associated with erectile dysfunction. A case-control study in European population. Wiley: Journal of Clinical Periodontology. 2018;45:791-798. Posted August 3, 2016 by whitehallteam & filed under Whitehall Views. It is hard to conduct a good clinical trial to show the significance that flossing has. ie You need a control group who are instructed to brush their teeth in the proper way (modified bass technique in case you feel geeky and want to look it up), and then the trial group who brush AND floss. I am not surprised that there is no ‘significant difference’ in the results. ie both outcomes will show very good results. So do we conclude, therefore, that flossing is not worth it just because of this? What I would like to see is a psychology experiment, where people are chosen at random from the general population and they look at plaque scores of those who floss versus those who don’t. I would expect the ‘flossers’ to have better results. Not necessarily because they floss, but because they are generally more interested in oral hygiene. This is because oral hygiene is not a technical thing (we can all brush our teeth if we bother!! -), but it’s dictated by the person’s attitude. Let’s face it, if we all did what the hygienist actually asked us to do then our mouths would be a far better place. Flossing mainly cleans the part that is the contact point. This is where ‘interproximal caries’ starts (look that up, I find it hard to put in basic terms – it’s the decay we look for when we take x-rays and can sometimes be missed). So therefore I advocate it. For the front six teeth it is especially important. Round the back then the ’embrasure’ is more triangular and so I recommend brushes (e.g tepe brushes). There are different types of floss and many of my patients have implant restorations, or advanced crown, veneer and bridge work and frankly flossing is essential in these cases. No mention of this in all the articles!! So should we still floss – YES. !! Is there a ‘significant difference’ (in clinical trials) – NO. Finally – Do not take everything that you read in newspapers as ‘good evidence’. In fact it is one of the lowest form of evidence. Fortunately you see a dentist who is a bit geeky (me) and I have been trained on how to interpret medical literature. For real ‘evidence’ I recommend the cochrane library, where evidence and clinical techniques are scrutinised based on studies with strict inclusion criteria, and formulated from cohorts of studies. Posted March 20, 2016 by whitehallteam & filed under Whitehall Views. I welcome the news in the recent budget on increasing the tax paid on sugary drinks. It is alarming how bad things have got with respect to presentation of decay in the younger population. I think we are failing this generation with a seemingly lack of education on oral health issues. The consequences are dramatic and devastating. Posted by whitehallteam & filed under Whitehall Views. People with diabetes are more likely to have periodontal disease than people without diabetes, probably because people with diabetes are more susceptible to contracting infections. In fact, periodontal disease is often considered a complication of diabetes. Those people who don’t have their diabetes under control are especially at risk. Research has suggested that the relationship between diabetes and periodontal disease goes both ways – periodontal disease may make it more difficult for people who have diabetes to control their blood sugar. Posted December 11, 2015 by whitehallteam & filed under Dentaid, Whitehall Views. Posted November 26, 2015 by whitehallteam & filed under Dentaid, Whitehall Views. This article highlights something that I feel we are seeing more of nowadays – the effects of acidity on teeth. We have long been aware of the dangers of sugars, but I have to agree with this author, that the risk of acidic drinks and food are having damaging effects on teeth. Read on …. Posted by whitehallteam & filed under Dentaid, Whitehall Views. 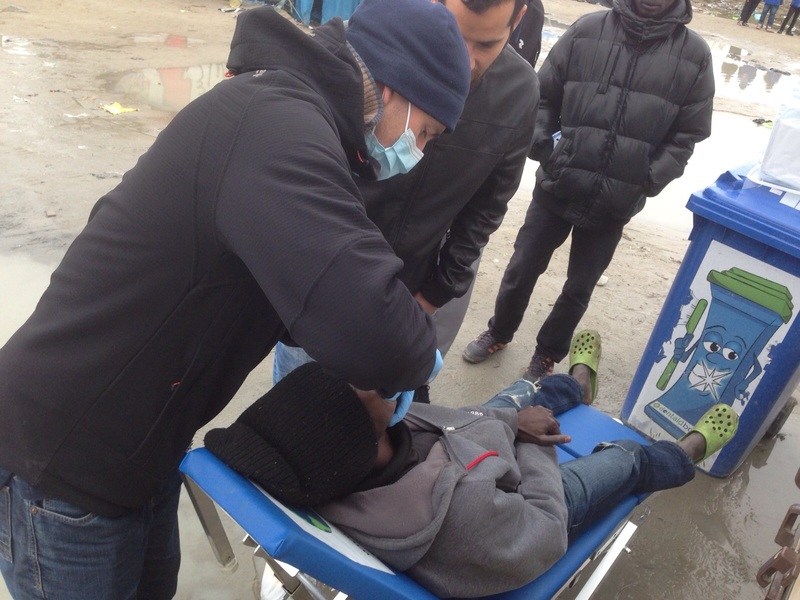 In November I went to Calais with a colleague to treat the refugees who are suffering from horrific dental conditions. The situation for them is extremely sad and we had an incredible time helping them with their dental problems. A particularly moving moment was having two Syrian refugees come over to us who were both dentists. It was very humbling to meet them and they were so helpful, staying with us all day, and assisting with translation, and even taking the odd tooth out under our guidance. Through dentaid a portable dental unit has been provided and all the necessary equipment to provide emergency dental care. Other dentists from around the country will be getting involved to go out periodically to use the facility, in particular a group called ‘Manchester Refugee crisis’, who helped pioneer getting the equipment stored in a caravan on the camp. It is a privilege to be able to offer our professional skills to those who need it most. I am passionate about growing support for dentaid so more projects like this can be facilitated. I hope to go back out again in the New Year, and in the meantime am pleased to know that the care can be continued as a rota of volunteer dentists is set up. This man had been suffering with dental infection for 2 years. The infections was so long-standing that it was now draining through the skin of his chin, of which, if we had an x-ray we would have seen huge defects in the jaw bone. By simply removing the infected teeth and cleaning the area, it will now heal and his suffering can come to an end. A big ‘thumbs up’ to that!! Posted August 18, 2015 by whitehallteam & filed under Whitehall Views. September 2015 is Oral Health Month and the practice is focusing on ‘Children’s dentistry’. 3. Sports gumshields – 20% off (usually £60) – be inspired by RWC 2015! !